Win the Ultimate Bachelor or Bachelorette Party with Men’s Wearhouse! Couples should celebrate their engagement journey to the fullest and part of that journey is the bachelor/bachelorette party! When couples book their wedding party at Men’s Wearhouse from April 1, 2013 through April 14, 2013 they will be automatically entered to win a VIP bachelor or bachelorette package. 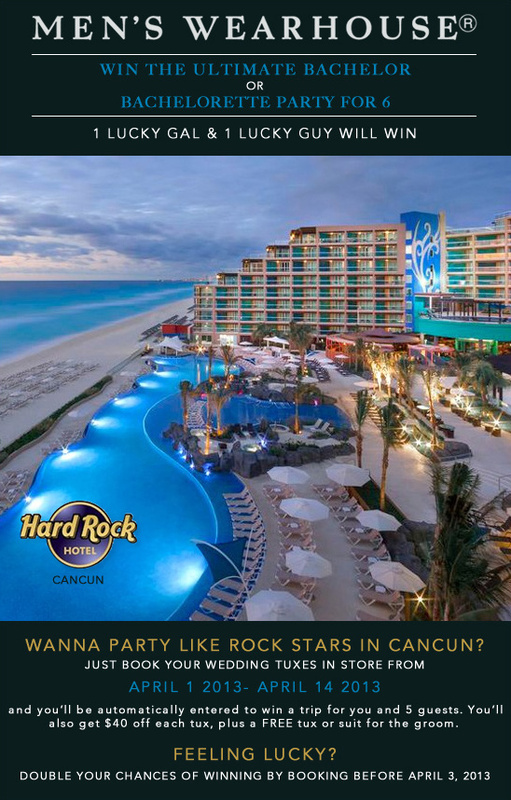 The fabulous trips feature five-night double all-inclusive accommodations for three Caribbean suites at Hard Rock Cancun for the winner and five friends. Each suite receives a $1500 Resort Credit to sweeten the trip with tours, trips to the ROCK SPA beauty salon, golf outings, upgraded wine selection and Rock Shots by Kodak. Round-trip coach airfare for 6 is included (capped at $500/ticket) plus Rock Star transfers to and from the hotel in a luxury sedan. When couples go into Men’s Wearhouse to book their wedding party they can select the best style to fit their wedding style with romantic, modern, classic and casual tuxedos. Men’s Wearhouse has an exclusive partnership with Vera Wang, so your groom can now rent the top notch Black by Vera Wang tuxedo in black or gray. They also offer designer tuxedos from Calvin Klein and Ralph Lauren. 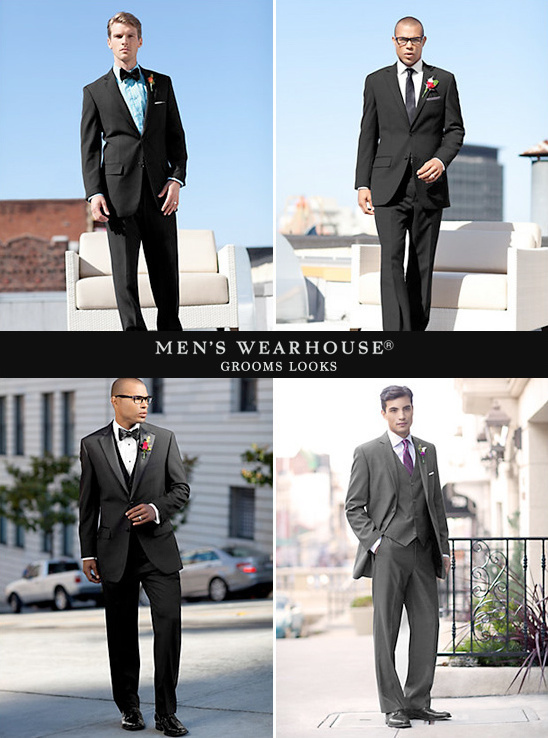 Men’s Wearhouse has a fabulous partnership with David’s Bridal so that the color your bridesmaids will be flaunting can be matched or complemented with tuxedo vests, ties and accessories in the most current colors. Luckily, the store is super convenient! Men’s Wearhouse offers over 900 locations for couples to come in and book their wedding to enter the sweeps. 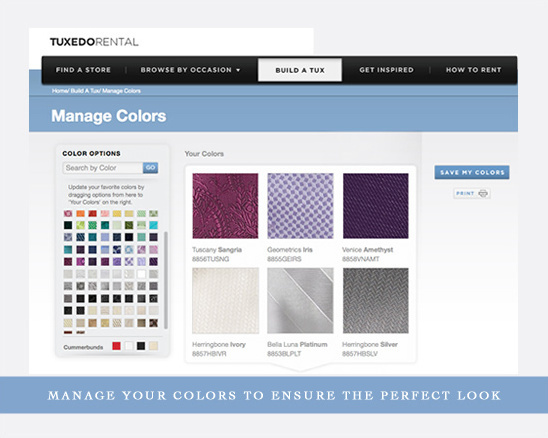 Also, you can rent, pick-up and return your tux rental to any of the locations. What are you waiting for? Check another item off of your wedding planning to-do list and win a getaway while you’re at it!